Office remodeling, warehouse clean out, or tenet build out. 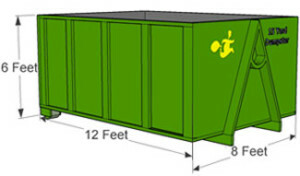 Tell us about your business or project and we will gladly recommend the right size dumpster rental for your business. We are a small business and understand the need for reliable service providers that are flexible and available for any questions or concerns. The smallest dumpster we rent. Used for small clean outs and small projects such as a few office cubicles. For smaller load consider using our full service junk removal. 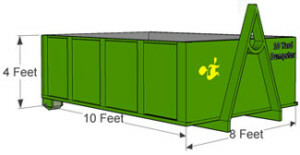 15 yard dumpsters are good for office clean outs, contractors yard or construction companies. Commonly used for clean outs when moving. The 20 yard dumpster is good for large warehouse clean outs and remodeling projects. It is the most common dumpster we rent for business clean outs, office and furniture upgrades.